A New Threat to Mass' Dairy and Livestock Industries...TICKS! 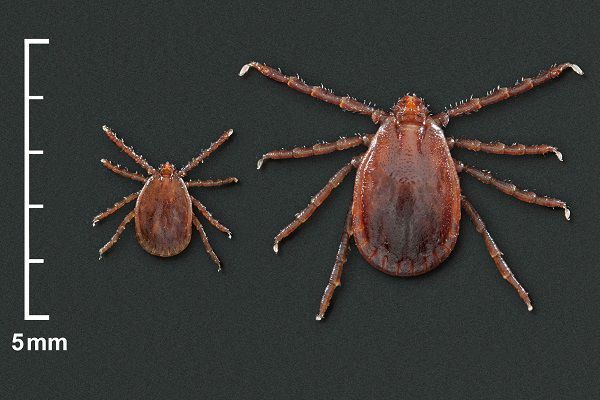 The Asian Longhorned Tick (Haemaphysalis longicornis) first appeared in the U.S. just one year ago in New Jersey has caused much concern among researchers. Over the past year the tick has been found in New York, Virginia, and Pennsylvania. Researchers believe that the spread of the Longhorned Tick to Massachusetts is inevitable. What makes the Longhorned Tick different from others? and why should Cows, Sheep, Farmers be concerned? We aren't the only ones enjoying time outdoors this holiday weekend. Our four-legged friends can celebrate freedom this weekend too. From what to eat to where to run free, here are 4 tips to keep your dog happy this 4th of July weekend. Tick Prevention: Tips For Reducing Tick Habitat in Your Yard. Your yard can make a great home for several species of ticks. Deer ticks in particular that transmit Lyme disease and other tick-borne illnesses are active from early spring through late fall in New England. Tick prevention starts with awareness. In order to protect ourselves and our family from ticks, we need to understand where ticks live in our yards.